Not far from Tangier, Tetouan is strategically located in the north of Morocco and holds one of the two major ports in the Mediterranean sea. Many of the Moors who used to live in Spain, settled in Tetouan during “La Reconquista” period. The city has a rich history and a nice mixture of Arabs, Berbers, and Spanish influence. So paying a visit to this Mediterranean spot will allow you to experience this nice mixture of people, culture, reflected in its old building as well as other attractions like the old Medina, Archaeological museum, Kasbah, to name a few. The history of Tetouan began in the 13th century soon after it was founded by the member of the Marinid Dynasty. This place has undergone many invasions and tragedy and what you see today is the finest amalgam of the Spanish and Arabic culture. This culture even lingers in every corner of this Moroccan town. The old Medina of Tetouan is a UNESCO World Heritage Site. The inner city is characterized by white houses, and the influence of Andalusian building style and architecture. After the reconquest period, the city was rebuilt again, this time is by the Andalusian refugees who escaped the genocide that were headed by the Spanish army. You can see that the Medina in particular has remained untouched in this ever changing world. While I was wandering in the narrow streets of Medina, The Arabian architectural influence on the Andalusian Houses caught me by surprise. The architectural structures of this site were so beautiful that I lost track of time. Nonetheless, I had all the respect and appreciation of its people and those who helped build and maintain this Medina. It is quite impossible to roam the streets of Tetouan and not admire the art and craft that lingers there. This town of Morocco is very famous for its artistic heritage and for years travelers gravitate towards this place to relish the intriguing neo-Arabic architecture. The most prominent example of Neo Arabic architecture is Bab el Okla. It is a building that is located near the eastern gate of Medina. 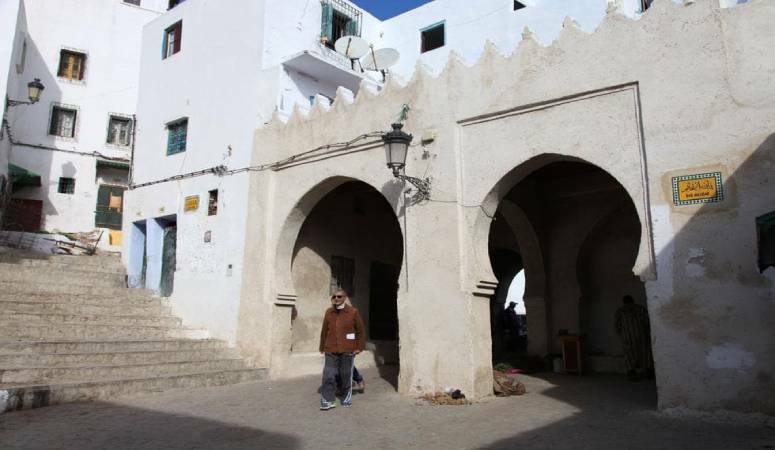 Bab el Okla is one of the beautiful places to visit in Tetouan. You will even find beautiful wood painting, marquetry, and products of zellij mosaics displayed in the street market. Try to buy some amazing crafts to store it as a memory of Tetouan! If you think that Tetouan is just a place for history lovers, then you are wrong. This place offers more than history lesson!. If you are bored of roaming on the streets, then head towards the seashore which is just 20-minute drive from the city center. Interestingly, there you will find fishing villages and beach resorts as well. You can spend a relaxing time in the Tamuda Bay where there are five-star hotels and golden sandy beaches. If you are an adventure seeker then indulge yourself into windsurfing, scuba diving, jet skiing, and deep sea fishing. 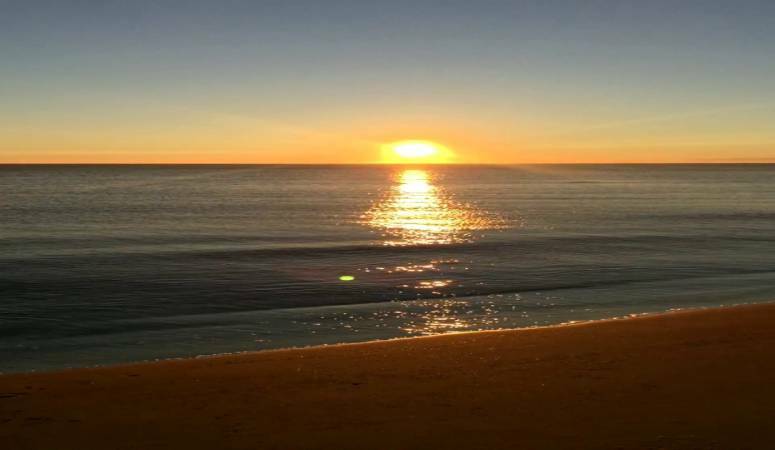 After spending some time on the Tamuda Bay, you can head towards Martil Beach which is another spot where you can spend some tranquil time as this seashore is visited by fewer people. Some of the activities that you can entertain while in Martil is swimming or walking with views of the sea and the surrounding mountains of La Gomera. You can dine in one of the seafood restaurants available there, have a drink in one of the cafes, or even camp or play golf!